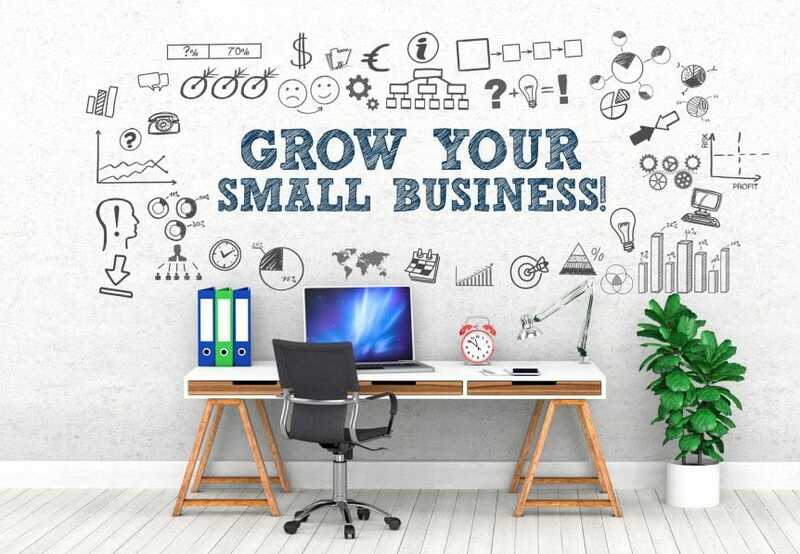 Here is your ultimate guide to grow a small business. When starting up your business you want make sure you see growth within profits and customers. What if your small business could become a worldwide sensation? This is what every business owner dreams of. However, many are afraid those dreams can never come true. Fortunately, there are many tips to help grow a small business. And following these tips can help you find more success than you ever knew was possible. Keep reading to discover our comprehensive guide to creating a business as big as your dreams! Think about some of the most successful brands, like Microsoft and Apple. Chances are that you found yourself thinking about Bill Gates and Steve Jobs. This is because customers enjoy feeling like they know the person behind a company. And you can do this by letting your customers know the real you. There are many ways to do this. Maybe it's an “About” section on your website, or personally hosting special events (more on this later). Overall, it's a symbiotic relationship. You gain more customers and build customer loyalty when they get to know you. And by getting to know them and their needs, you can fine-tune the products that you sell, further increasing your success. Sometimes, a new business makes the rookie mistake of trying to appeal to everyone all at once. This makes the business feel more like a general store, and the world has plenty of general stores. Instead, try to focus on a niche. Start within your local community and identify the businesses and products that the community doesn't have and would benefit from. You gain a number of benefits from this approach. First, you instantly stand out from the competition, because there's no business quite like yours. Second, your business can grow very quickly, as there is nothing a community enjoys more than novelty! If you really want to know how to grow your business, creating a sales funnel is one of the most important steps. If you skipped this step (or simply rushed through it), it means that you are missing out on a lot of potential growth. A good sales funnel helps the different teams within your business all focus on their unique roles. And having a tunnel in mind can save time in the future if you decide to use any kind of customer management system. Finally, the funnel is quite necessary once your business really does start growing. It helps you to scale up your operations without disrupting your existing quality of sales and customer service. Growing your small business is about using all the tools available to you. And take it from us: social media is one of the best (and cheapest) tools you can use. Social media accounts help customers access you and your business through digital messages, which goes a long way to helping customers put a face behind a name. It also provides a great platform for offering relevant and time-sensitive information to your customers. This includes things like coupons, sales, and “how-to” videos. This helps to drive sales in the short-term. However, letting customers comment on and share your social media posts is like getting free word-of-mouth advertising, which is an important pillar of long-term business growth. Many of the tips on this list focus on things like sales and customer service. However, it's equally important that you focus on two things: your business name and its logo. First, a unique name helps you stand out from the competition and build your brand. And it also gives you a leg up when it comes to customers finding you via Google search rankings. And in many ways, the company logo is even more important. It is what customers will see on everything from social media graphics to your company's signs and billboards. Customers instantly think of your brand when they see a good logo image. And it gives you an opportunity to manufacture things like t-shirts for loyal customers, further increasing potential word of mouth advertising. If you're serious about growing your small business, it's important to use a customer management system. A good CMS can automate many aspects of your business and help it adapt and grow. First, being able to automatically track customer purchases and handle accounting matters gives you and your team more time to focus on growing your business. And this is the perfect tool for refining both your sales and your marketing. The CMS can help you track which customer segments are buying what products. You can then figure out what your customers want most and focus on providing more of that. Ultimately, no business can grow without identifying and providing for customer needs. And a CMS is the easiest and most direct way of doing so. A surefire way to generate buzz is to host community events. Things like holiday parties show that you care more about sales: you care about creating a space where customers can have fun and feel valued. This is a key way to create customer loyalty. They will now associate your business and its products with the fun they have at your different community events. and just like that, you have a customer for life! Our last tip is nice and simple: be sure to set up an e-mail list so that interested customers can sign up for regular updates from your mailing list. You can easily set up a digital or analog list, making this quite easy to do. And only your most interested customers will sign up, so this gives you an opportunity to pitch new products and deals to your hottest leads! You now have some great tips on how to grow a small business. But do you know who can help you take things to the next level? At Jumpworks, we specialize in using our years of experience with customers and software to help your business grow. To see how we can transform your small business into a big one, contact us today!